Freedom of expression, freedom of movement, freedom of assembly, freedom of worship, these are all enshrined in our Constitution as fundamental rights. No one can take them away; no President, no Prime Minister and no Parliament. The Judiciary, the third pillar of government, shall ensure that. The superlatively strong backbone of the Judiciary branch of government made it known to the country in the recent 50-day government fiasco. There does not seem to be any emerging threat from outside military powers, nor from any internal terrorist group to justify suspension of those fundamental rights. Yet when one advocates such suspension of these fundamental rights, especially at peacetime, one has to examine the mindset of those who advocate such suspensions. Yet what needs to be suspended is the very utterance of such blatantly phony needs for those suspensions of our basic rights and privileges. Any politician would like to have total power over his people. Such a desire and appetite is a natural tendency of a person seeking to control his minion-serfs, the way our ancestral leaders sought to maintain their superiority over whom they reigned. Yet any political development does not happen overnight; nor does it occur in a vacuum. The context within which any political evolution takes place is of supreme measure; its relevance to the context cannot be ignored and political scientists and historians have proven the indispensability of context when they pen their conclusions and deductions and take time and space to write an accurate account of societal development through the ages. When a country is used to be ruled by Kings and Queens, when its citizenry, though mistakenly called sovereign, is condemned to the status of ‘subject’ instead of a free people, the affinity such people develop towards her rulers- the monarchs in our ancient times- could become increasingly affable. A sophisticated notion of liberal democracy in which all human beings are dealt equally would not appeal to those half-educated, self-righteous usurpers of political power who pursue their own sinister ends. Added to these sinister motives is the false sense of ‘character-strength’ that is built into an up-and-coming leader whose natural sensitivities are mainly focused on his or her own dictatorial demeanor. The allurement to appeals of more and more powers concentrated in one single person, coating that concentration power with a veneer of ‘doer’s’ persona is not a fresh concept of governance. Since time immemorial, from the very dawn of civilization, man’s desire towards the magic of control over his peers has rendered itself as a sense of strength. His power of suppression over his fellowmen and maintaining such power has naturally lent itself as a veritable tool he could use to use his peers towards the ends so defined by the suppressor and this suppressor is unmistakably called the ‘leader’. Over the millennia, with the advance of the human family’s evolution, various stages of development of governance, some quite sophisticated and others reasonably undernourished, have contributed to the modern-day seats of power. However much sophisticated the systems that have evolved to produce the current cascades of power flowing from either the barrel of the gun or the art of reasonable persuasion through the ballot, one fundamental element has not changed. Man’s desire to cling on to self- aggrandizement at whatever cost has hardly left him; his twisted desire to control others who are especially considered weak and submissive, may have been suppressed temporarily and remain dormant but given the slightest encouragement and provision of other engaging circumstances such as war and phony patriotism, that sense of superiority which is really an indispensible product of related and unrelated socio-economic factors, assumes a more relevant role in a given scenario. Such a brutally realistic scenario is prevailing in the country today. With the legitimate and peaceful ouster of Mahinda Rajapaksa from the seat of power in 2015, with the advent of a new President named Maithripala Sirisena, his, Sirisena’s, grossly ill-advised responses to genuine differences he encountered with his own Prime Minister gave rise to an unprecedented constitutional crisis, the likes of which are usually associated with uneducated, undisciplined and uncouth leaders of the African or Latin American countries. That response from Sirisena is essentially an integral element of the pattern and culture that was being nurtured and nursed by his previous master Mahinda Rajapaksa. Sirisena is a consummate product of the Bandaranaike-led ‘cultural revolution’ in 1956. Severely uncomfortable in the drawing rooms of Colombo 7, though lucid in the vernacular but woefully deficient in the English language and its nuanced idioms, prose and verse, Sirisena’s disdain for social-democratic values were bared open when he tried to express his disagreements with his peers. In other words, while the contemptuous conduct of the Executive came in for total rejection of all who identify themselves with the modern-day democratic values that define a developing social-democratic society, by digging further into the pit, he became completely alien to the unsuspecting voter who voted him to power. Preaching from atop a secured political platform was mistakenly suggested as a solution to the burning issues of the day. 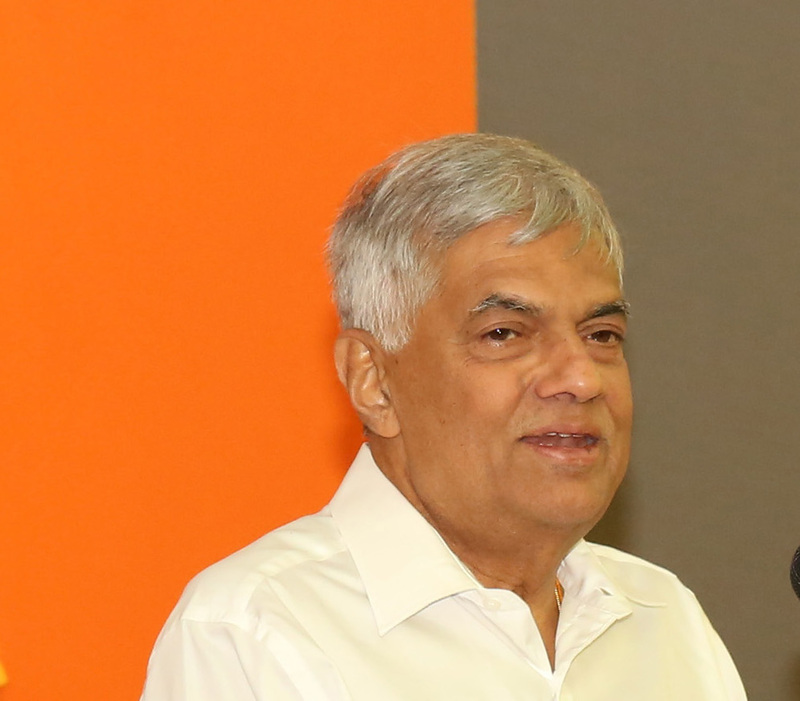 Rhetorical nonsense in the native language was used to scorn his ‘new opposition’ which now consisted of Ranil Wickremaeinghe and the United National Party (UNP). In this maddening rush of events, the Maithri/Ranil combo presented itself as a weak and brittle representation of the governing powers. The resolution of the crisis so created by the Executive and his cohorts gave a new dimension to the country’s ailing cultural patterns. Independence of the Judiciary and the workings of a vibrant Legislature led by a fearless Speaker of the House produced a glimmer of hope for the continuance of a developing democracy in South Asia. Yet when a so-called ‘strong man’ makes an attempt to enter into this chaotic theatre of Sri Lanka’s politics calling himself a strong and decisive man, there is in fact an irresistible genre in such a ‘fresh’ entry. However, when that person is trying to dictate that freedom so closely guarded and fearlessly defended is being sacrificed at the altar of discipline, then the tale assumes a definitively negative shade. Discipline has to come from within; it should not be imposed with the aid of bayonets and bullets nor by the fear of abduction or being jailed. Discipline imposed upon a free people by uneducated, ill-informed and greedy politicians is neither discipline nor freedom. Pseudo-thinkers must be called for what they are: utterly pseudo. When caught up in these chaotic winds of political uncertainties, the people can become utterly susceptible to the sweet words uttered by would-be dictators; they could become victims of their own ignorance and laziness. Discipline from within, as Buddha, the Great One taught us thousands of years ago, would prepare us for any untoward exigencies. Discipline preached and enforced as a matter of constitutional demand on us is a bitter concoction, if gulped down, would not only incapacitate the organism of man, it will kill him in the very short run itself. Therefore, the balancing act of freedom vs. discipline is no balancing act. It is subjugation of freedom for the facilitation of power to a greedy man who is waiting on the threshold. « Long Awaited Info In Nyras Report On SriLankan Airlines Released By RTI Commission!